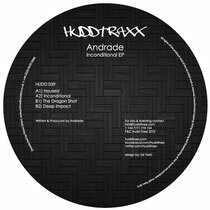 Hudd Traxx bring you the ‘Inconditional’ EP this month by French producer Manchester based Andrade, comprising of four original cuts. Over the past seven years Hudd Traxx has maintained a high status in the underground, focusing on vinyl releases from the world of house and techno. 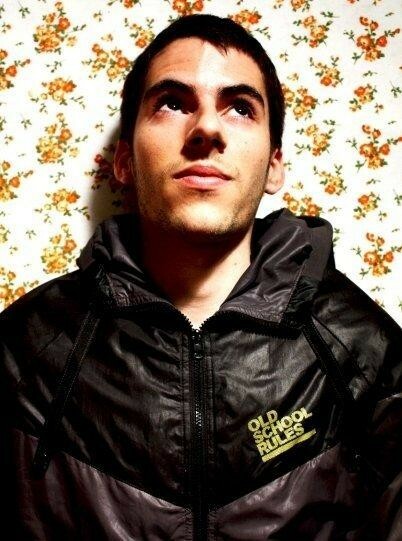 The label has released material from the likes of Agnès, Sascha Dive, Iron Curtis, Rolando and Sneak. Here Andrade slots in amongst the aforementioned names with ‘Inconditional’, following his latest offering on D’Julz’ Bass Culture imprint. ‘Inconditional’ opens with ‘Housed’, a warm organic number with a rough old school Detroit house feel. Loose drum programming, warm Rhodes chords and jangling marimba style melodies build the tracks foundations and the French producer implants a moody electronica vibe also with hi-pitched strings and pads adding ethereal background textures. Title track ‘Inconditional’, adopts a swing feel with its walking double bass hook, percussive edginess and heavily processed sax and horn licks. The melodic movement takes the reins here, as do the urban spoken word vocals leaving the percussive elements to simply shuffle in the background, resulting in a solid, jazz tinged house cut. Next up is ‘The Dragon Shot’, a stripped-back deep number relying on a punchy house arrangement on the drum front and smooth filtered Rhodes driving the melody. There’s an eerie background texture of spoken words hidden in the depths of the track adding a whole new intensity to the production, again resulting in a raw, soul-laden piece of work. To close the release, Andrade offers up ‘Deep Impact’ to wind down the release, dropping the tempo slightly and applying an airy feel, guiding an amalgamation of pads and arp-like chord progressions over shuffling drums and a bulbous sub-bassline.